Combination of three homofermentative bacterial strains for fast, efficient fermentation to reduce the risk of butyric silage with reduced feed value and palatability. Includes one strain of fructan utilising bacteria to improve sugar availability for improved fermentation. 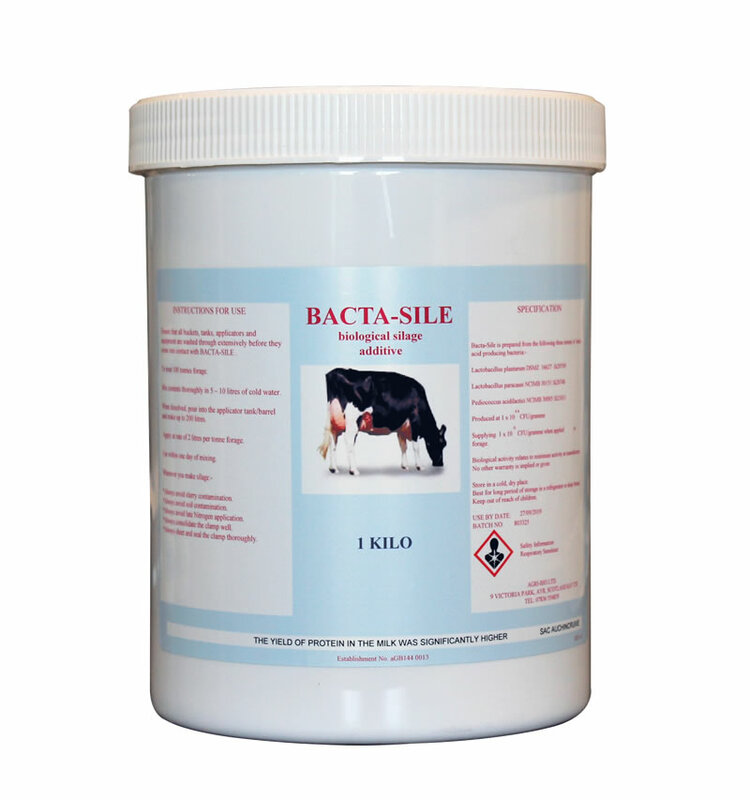 Bactasile will increase the speed of fermentation, which will preserve more energy in the silage for cows to use. One million bacteria applied per gram of forage.